120 Days Same as Cash $260.00 - Low Prices Mean Low Payments. 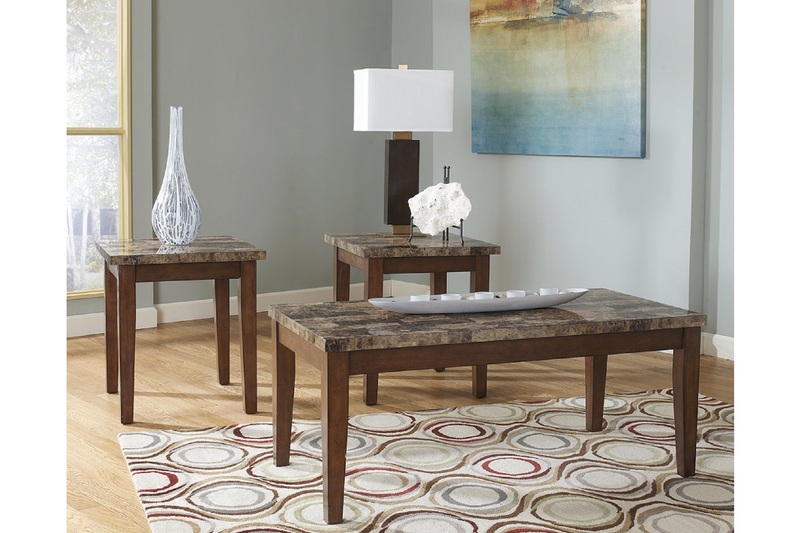 We love how this coffee table set is the perfect pairing of clean-lined contemporary style with a warm, earthy vibe. The soothing shades and textured vein of the faux marble tabletops perfectly complement the richly rustic wood-color finish. Cocktail table apron to floor: 15.50"
End table (2) Width: 22.25"
End table (2) Depth: 23.75"
End table apron to floor: 20.50"